Let’s talk about the “best practices” for playing Warhammer 40,000 Competitively. Just declare Exterminatus if you start loosing right? Well I just got home from the American Team Championship (ATC) and had to hear all the war stories from everyone at my local game store this week. It seems like most people had about five really good games and then there’s always that one game, with that one guy, that you just can’t forget. I also noticed that many tournaments are starting to have “Sportsmanship” scores. There is a huge range of what that actually means, to different people from different areas and gaming clubs, so I thought maybe I could flesh out a little bit something of a standard. Between general best practices and paying attention to some specific rules there’s no reason a game of 40k can’t be fun even at a competitive level. Check the Packet – Every tournament I’ve ever gone to has given out a rules packet. This one is super easy. Go through it with your opponent at the beginning of the game. It takes 30 seconds and makes sure everyone is on the same page from the get go. You don’t want to be halfway through a game and realize you and your opponent were playing two totally different missions. Show Them Your List – First you should have your list printed if you’re at a competitive event, that’s a minimum for me. Now I know some places want you to actually put your models out for your opponent to see but I don’t think that’s such a big deal as long as you have a list. Secondly, you don’t have to explain your list to your opponent but you should definitely ask if they have questions. This way it shifts any responsibility for someone not knowing how your army “works” to them without having to explain in detail how your “super school death star spam” synergizes. If they do ask a question just answer it, and if you can’t, go look up the rule and show them. I always ask a question or two just to let my opponent know I’m paying attention and to make sure they know their rules. Lastly, let them keep a copy of your list so, again, its on them if they forget some of those less modeled pieces of equipment like meltabombs. This also just lets them look instead of constantly asking you “what does this do?” if they are a newer player. Premeasure – This one is really simple and it just seems to smooth over so many problems. Once your movement phase starts, there are very few choices your opponent gets to make. Now this is good and bad but if you plan on charging something there’s no reason not to just premeasure the distance. Show your opponent that your assault marine is 20″ away, say “I’m using my jump pack so I’m going to move 12 inches straight towards you so that’ll put me at an 8 inch charge if I end here right?” and then move the model so you’re both on the same page. This works for moving models so that every member of a squad can be in range for shooting or the psychic phase. Premeasuring and talking to your opponent can also clarify line of sight, you don’t want to start shooting and find out half your squad is negated because you didn’t realize there wasn’t a window halfway across the dang board. The movement phase is the time to get all that settled so there’s no unexpected surprises. Often your opponent has nothing better to do and will feel involved even though, at this point, they can’t react much. Plus it fosters some good faith. Now I’ve had opponents refuse to tell me if I have line of sight but that just kicks the can down the road till the shooting phase then we have to call a judge and telling them “he wouldn’t tell me 15 minutes ago so…what do you want me to do?” definitely helps. I’ve rarely had an opponent agree to a distance just to take it back when the time comes. If it was something game changing, its also on you as a player for not having just done it properly after talking through it. Obviously there will be times when you shoot yourself into a farther charge range and all sorts of other scenarios but then you can rely on the good old fashioned method of just measuring it out and then communicating didn’t hurt anybody anyways. I don’t really lose well. Competitive play is competitive. There is a lot of blood, sweat, and tears put into a lot of lists and tournaments. At the same time though, this is a dice game. You can play perfectly and still lose, statistics are only theoretical, rolling all ones is real. Basically though I’m saying its not always your fault and, frankly, even if it is your fault, realize the mistake you made and don’t make it again next time. Loses are learning experiences because unlike the real world, we get to fight again (my personal favorite part of fake war). I’ve also learned a lot more from getting crushed by really good opponents than by winning games magnificently when everything is “all according to plan hehe”. Honestly though, when you’re losing or just can’t catch a break relish the small victories, like killing that one tank who keeps killing all your little plastic men! Losing with grace is what gets you invited back to tournaments, not curb-stomping opponents and then gloating about it. Line of Sight – This one gets really goofy sometimes. Now it depends on whether you are playing ITC or RAW or whatever house rules you heretics play by now-a-days but determining whether a model can charge/shoot or gets a cover save is a big deal. Now RAW says you can draw line of sight, or start the line, from the torso, head, arms, or legs (explain that one to me please). ITC however says it has to be the heads or closest thing to eyes. Vehicles is from the tip of the weapon (don’t nose it up to a wall). So there’s your start point but its also important what you are actually looking at. Everything on a model counts except for wings, weapons, and banners in my reading of the rules but if you see a frilly model in your opponent’s army it is best to clarify what counts before the game. Now one of our local Guard players always claims his vehicles have a 5+ cover save. Some people still think if you’re shooting through ruins the enemy gets a 4+ cover save. Here’s the short version, if a model is 25% obscured it gets a 5+ cover save unless it is “in” terrain that gives it something else. Vehicles do have something funky where it gets a +1 to its cover save if you can’t see the armor facing you are shooting at. This rarely happens but with some of the more angled vehicles it is possible. Don’t let an opponent get away with “oh I’m 50% obscured with gives me a 4+”. I have for a long time and was only recently set straight. Jink – Some tournaments spell this out where it is always the responsibility of the shooting player to ask. You should know what in your opponents army can jink so just ask. I often call out the strength and AP of the weapon I’m firing and give them the “Jink or you’re gonna die” look. Personally though I think there is a little more wiggle room. If you didn’t ask and you’ve already rolled your to-hits I’d let them jink, especially if you’re firing an AP weapon where it’s clear they would’ve wanted to jink. If it’s gotten all the way to the to-wound roll however that’s a line for me. Your opponent should be paying attention and at that point its just too late. If you didn’t ask, either 4+ it or call a judge but I think it’s ridiculous to jink after seeing a to wound or armor penetration roll. 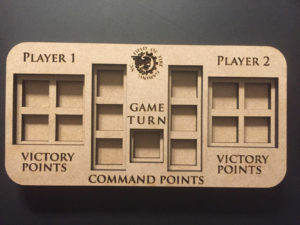 Rules to be Declared – This isn’t to single anyone out as I’ve had a lot of games where my opponent just starts rolling and I’ve got to stop them to figure out which gun they’re firing where and all that good stuff. More specifically though some rules you have to declare at certain times. Riptides have to roll and pick their nova effect well before their shooting phase. Adeptus Mechanicus has a lot of these rules from canticles to whatever the hell the different rules the Castellans get. To me the best thing to do is either play it by the book or say to your opponent “Hey this is what the rule says, here’s the pros and cons, can we just assume that I’m using it unless otherwise stated?” If your opponent says “no” there’s probably something else going on but just default back to declaring every turn. I always have Feel No Pain. Why are you even asking? Warcon Canticles – I know I already mentioned declared rules but these are the worst. Hope your opponent has the cards or have him mark what he has used. Regular AdMech can use the canticles only once but Warcon gets to use each one twice. Yes, it is cheese. Yes, it applies to the whole army (including the Knight). Yes, it does depend on the number of models on the table but they almost always have enough to get the full benefit until late in the game. I often ask my opponent to keep track of the number of units he has so I can see if I’ve degraded their effects. Secondarily, they can only be declared at the beginning of your turn so alpha strikes are still viable. Space Marine Doctrines – Very similar to Warcon’s canticles, they are normally only accessible once but can be used more than once depending on formations and tactics. Ultras get an extra use use as do many formations. Again, hope your opponent has the cards but otherwise have them write down their uses. In general I think the ultimate best practice is just to communicate. Say what you’re doing and when. If there is a rules question, look it up, call a judge, or roll a 4+. If you watch out for some of the trickier situations and you accept that you’re almost always going to have one bad game there’s no reason competitive 40k can’t be fun too. I will probably update this page as I get comments or feed back. I am by no means the most polite or level headed person to play against as any of the other guys here can tell you, but I do think I try to keep things fun (for me at least). This is a game, I’ve put a lot of time and money into it, and I’m often using my limited free time to play so I don’t want to walk away more stressed out or mad then when I walked up to play. This probably applies to most Warhammer players out there, too. The last thing I’ll say is that there will always be that one guy, there always is, you’ve literally got to just get through those games without having the police called over toy soldiers. They’ll think its really funny.